Since posting originally posting this recipe at this URL, I have written a blot post about it, with much more thorough directions and measurements. Please click here for the full recipe! Update 4/5/2011: This recipe is fine. I’ve been using it for years. But I feel I must tell you that I’ve discovered a better version – my friend’s family’s traditional Yorkshire Pudding recipe. Same ingredients, different proportions, so much better. 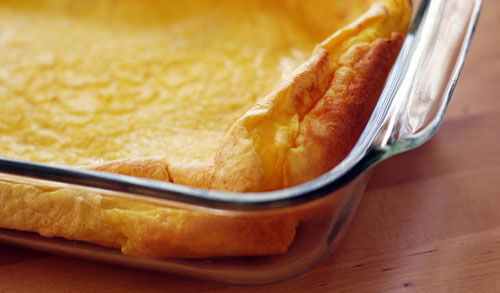 So, you can use the recipe below if you like…or you can click here to see the new and improved Yorkshire Pudding recipe. I recommend you do the latter. Preheat oven to 400 degrees. Put butter in baking dish (I just use an 8-inch casserole, I think the recipe calls for a round oven skillet or something)”¦heat in oven 3-5 minutes, til butter melted. Beat eggs. Add milk, flour and salt. Beat til smooth. Pour immediately into baking dish. Bake 25 minutes, or until puffy edges and looks done in center. Serve with fruit, syrup, powdered sugar, whatever you like! 1. In heavy saucepan, combine butter and chopped chocolate; melt over low heat, stirring constantly. Remove from heat; cool. Grease six 1-cup souffle dishes/ramekins or 6-oz custard cups. Coat with granulated sugar. 2. Beat eggs, egg yolks, powdered sugar and vanilla with an electric mixer on high speed about 5 mins or until thick and pale yellow. Beat in chocolate mixture on medium speed. Sift flour and cocoa over chocolate mixture; beat on low speed just until blended. Spoon into prepared dishes. 3. Bake in a 400 degree oven 12-14 mins or until cakes rise slightly and feel firm at edges and softer in the center when pressed gently. Cool in dishes 5 mins. invert with pot holders onto plates. Cool 15 mins before serving. Can sprinkle with sifted powdered sugar and top with spiral garnishes and raspberries. Since posting this recipe I here, I have since written a post about it with more detailed directions. Click here for the updated post and recipe! This isn’t even really a recipe – it’s that easy. Just coat your chicken breasts in Cream of Chicken or Cream of Mushroom soup, then coat that in some prepared stuffing (like Stove Top). Bake in 350 oven until the chicken is done. That’s it. Cate GOBBLES it up. You can even do chicken breasts still on the bone, but I usually do boneless/skinless – easier to eat. Place chicken breasts in bottom of crock pot. Blend soups, cream and cheese. Add italian dressing mix. Pour over chicken breasts. Cook for 8 hours on low or 3½ on high. Serve with white rice. Sauce may also be spooned over rice as a gravy. cook in a crock pot on low forever (as in 8 hours or so…all day works). add beans at the end. serve over tostada shells and top with lettuce/tomatoes/sour cream/cheese/whatever suits your fancy! Mix dry ingredients together. Work in the butter. Add egg and milk, which have been whisked together. Carefully fold in blueberries. Sprinkle tops with sugar. Bake 400 degrees for 20-25 mins. Preheat oven to 350; coat a 9”³ springform pan with 1 tablespoon unsalted butter. Melt chocolate chips, sugar and butter in saucepan over low heat. Stir frequently until chips are smooth, about 8 mins. Whisk milk, eggs, vanilla, espresso and salt together and pour over bread cubes. Toss well so the bread absorbs most of the liquid and begins to lose its shape. 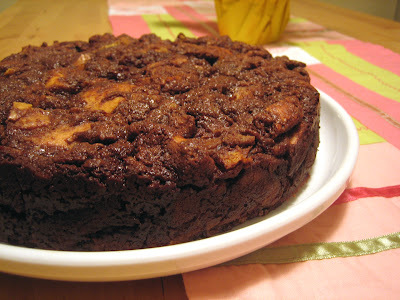 Fold the melted chocolate into the bread mixture, then transfer to prepared pan. Bake for 1 hour, or until the center springs back when gently pressed. Cool on a rack for 15 mins, remove the sides of the pan and slice.